The T50 overdrive Toyota 5-speed is light, strong and readily available. The ratios are closer than the regular Datsun 5-Speeds. 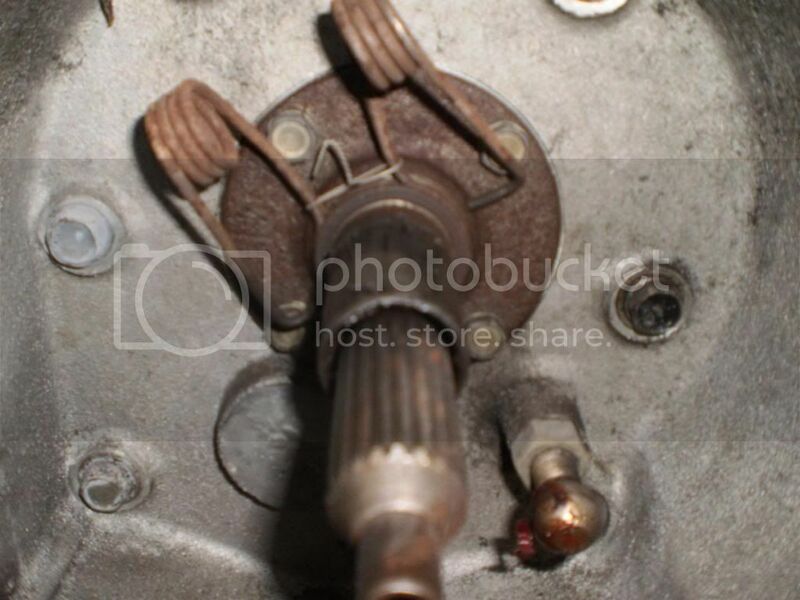 But you need to adapt it to the A-series engine as it uses a different bellhousing bolt pattern. 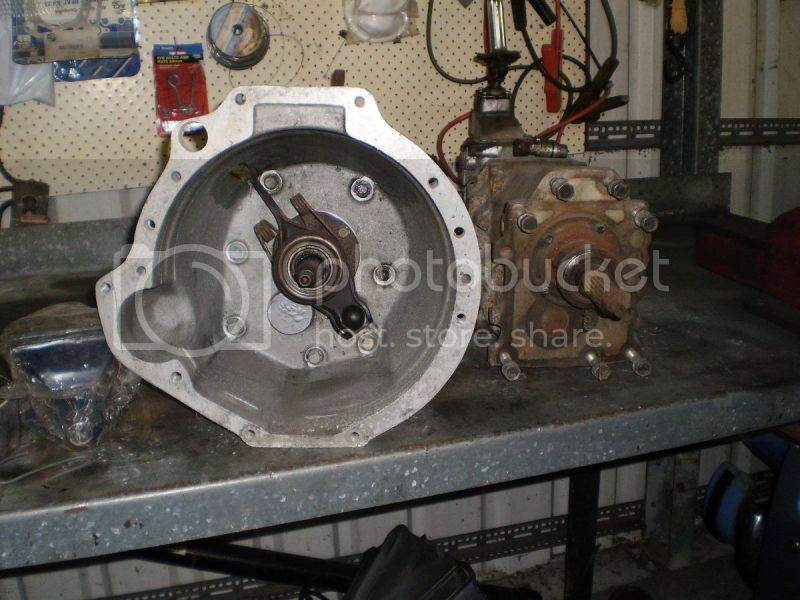 The Toyota box, being of the split case design, makes it easier to maintain should you be the type to switch gearsets or perform your own overhauls. Toyota and aftermarket suppliers offer a large range of different gear ratios to suit your needs. It has a shorter throw. 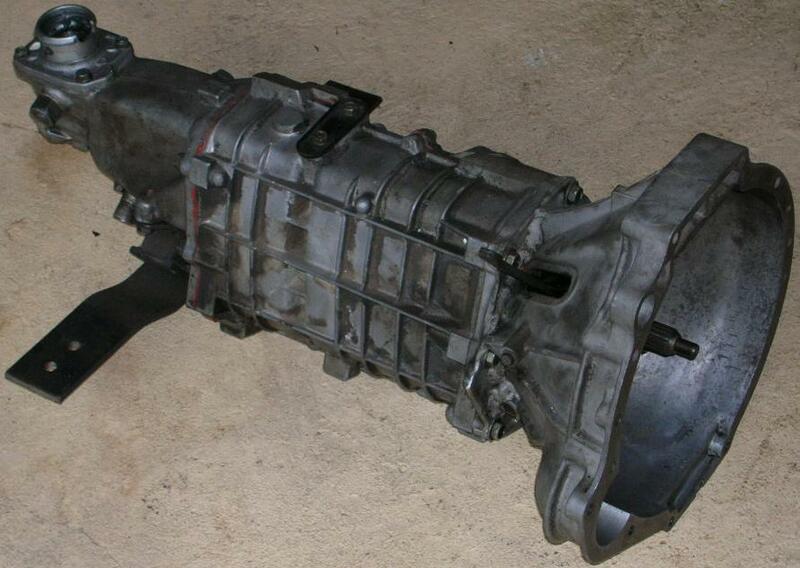 The T-50 transmission is found in rear-wheel-drive Celicas, Corollas and Sprinters. For example with 3TC or 2TC engine. Essentially the same box but the 3T has the larger input shaft bearing. 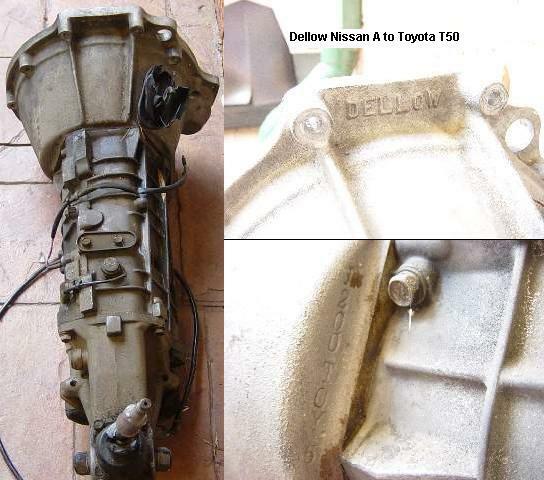 This is important to know as Dellow has different bellhousing to suit each box. 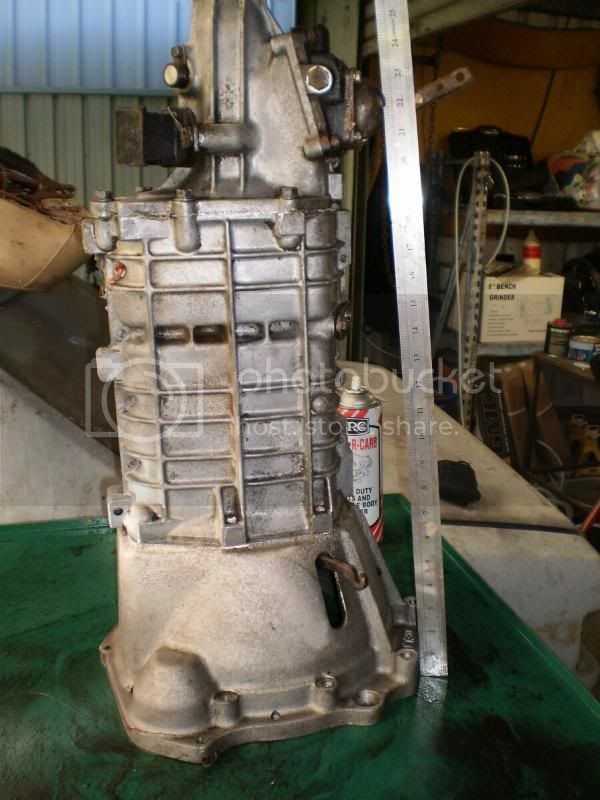 In Australia its about $250 for the gearbox (which you can purchase from elsewhere). 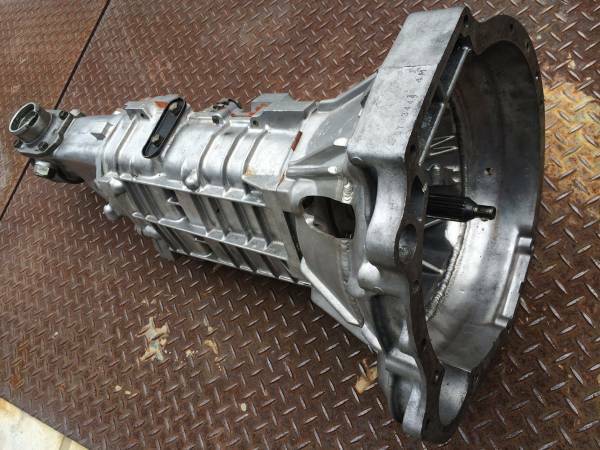 Pick-a-part is $150 for any 5-speed. 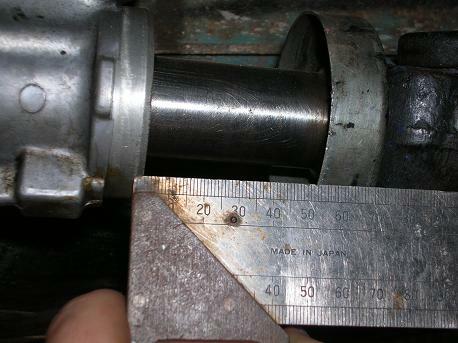 Count the splines on the output shaft, the stronger T-50s had 22 or 23 spline, the weaker ones 20 spline. 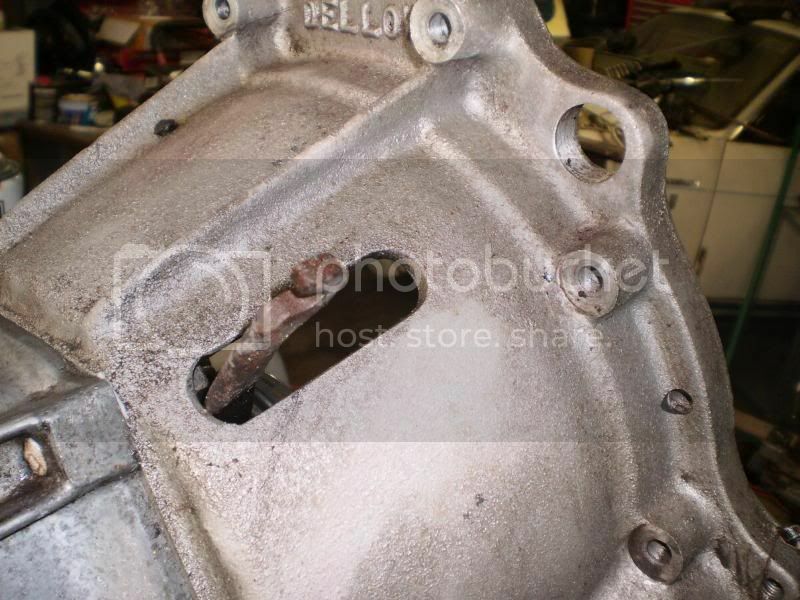 The t50 bellhousing has a paper gasket between it and the gearbox. If it leaks it has the gear oil smell (sulpur/crappy smell) unlike engine oil. There are 3 different types of T50. late one (AE86, AE71 etc). 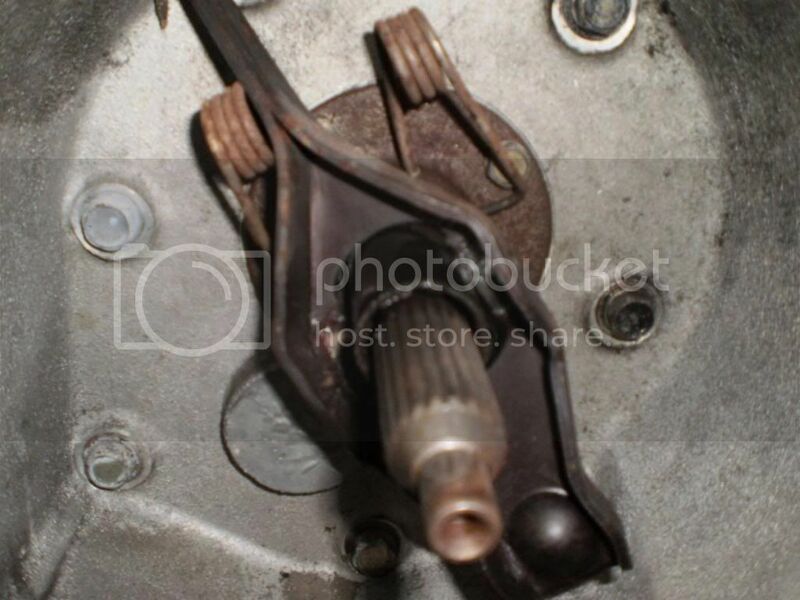 the late one has the shifter right on the end, where the tailshaft goes on. 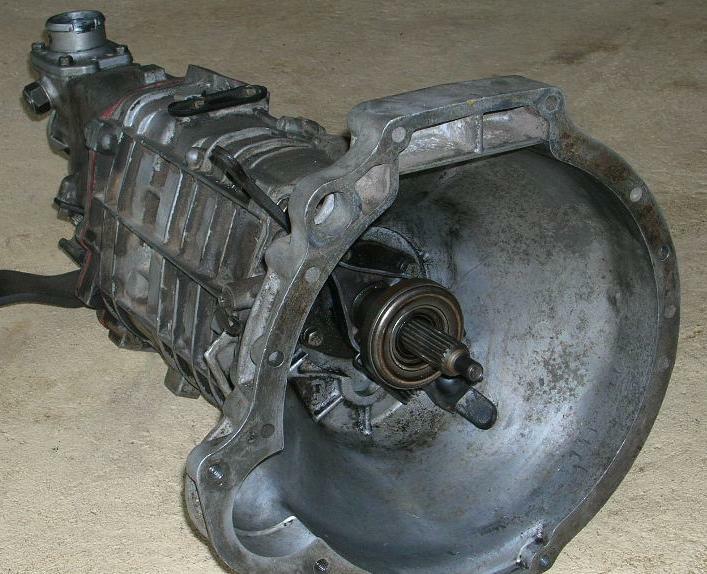 The "strong" gearbox -- suitable for supercharged A-series -- is the late one, and it has a bigger front bearing, and a bigger output shaft. To get a shifter than comes out closer to standard 1200's position, use the 2T transmission -- slightly forward of the Datsun position. 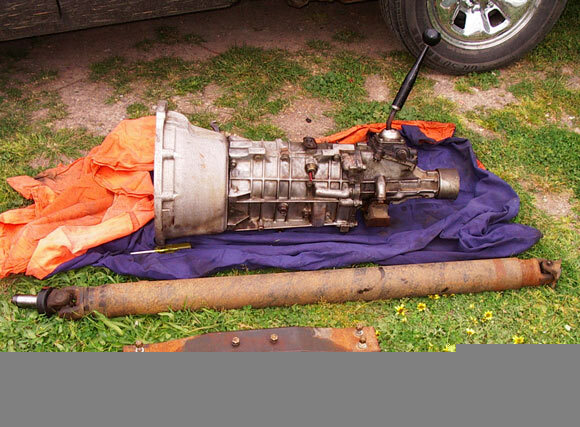 If you have the stronger 4A transmission you can swap the 2T rear section to it. The T18 gear stick is about 30mm back from standard. both have 7 bolts holding bell housing to the box and are split alloy cases. You can also convert the T50 from overdrive 5th to direct-5th. 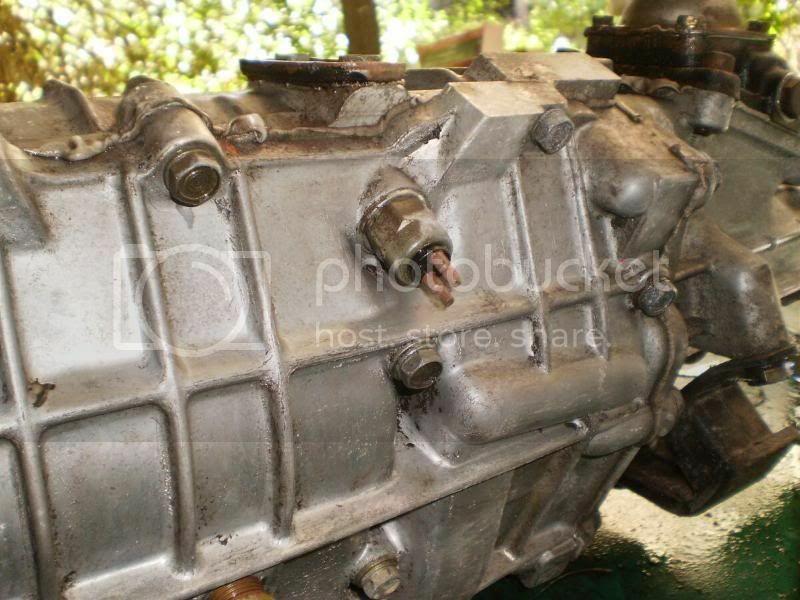 Only $3000 for the close ratio cluster 1:1 5th gear. 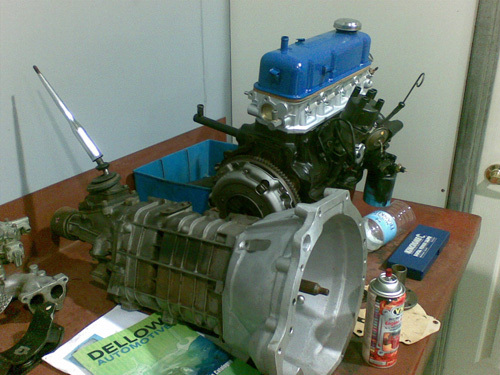 Dellow Engineering (Australia) sells a bellhousing for this purpose. 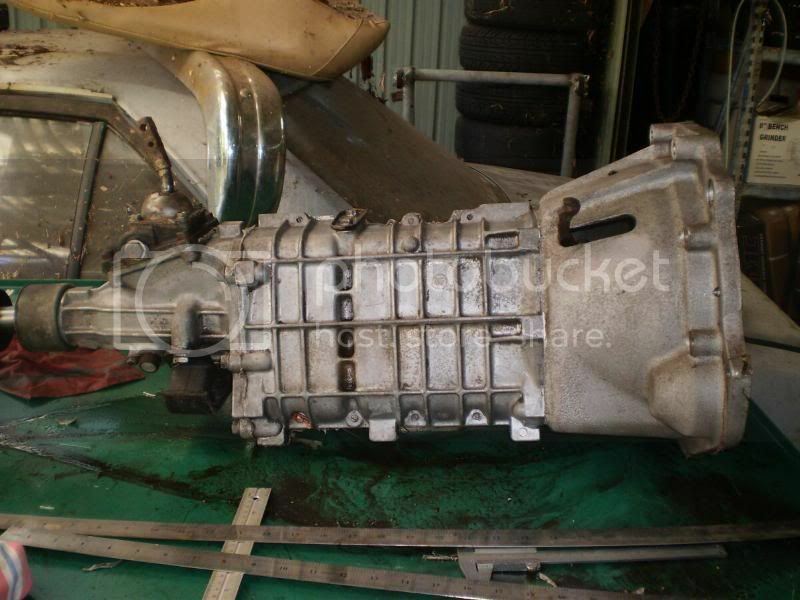 The cost is around $700 for gearbox and installation kit. The Kit comes with gaskets, clutch driven plate, spigot bearing and brass bushing for the new spigot hole. The Dellow kit is not cheap, as it is more than an adapter plate. 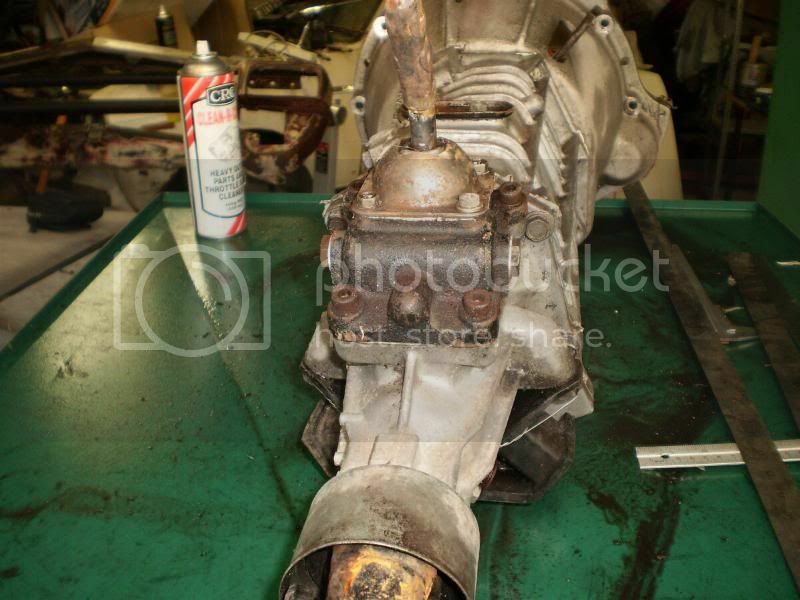 It actually incorporates the front part of the gearbox. 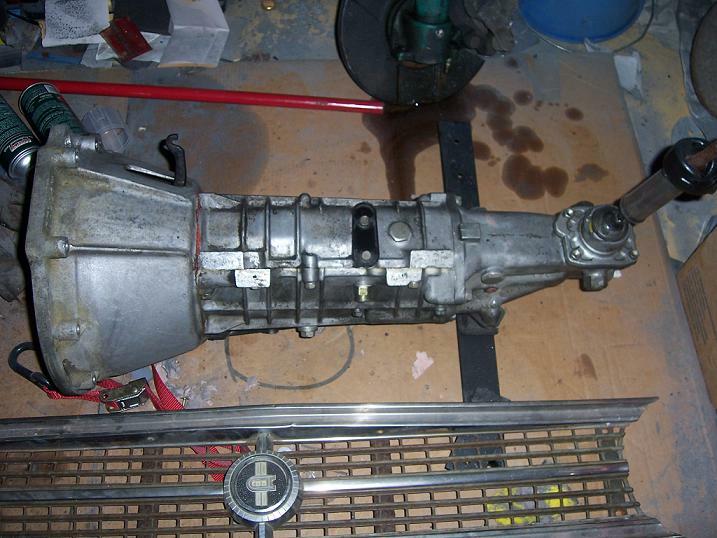 The upside is that (in Australia) the T-50 gearboxes are inexpensive compared to Datsun 5-speeds. 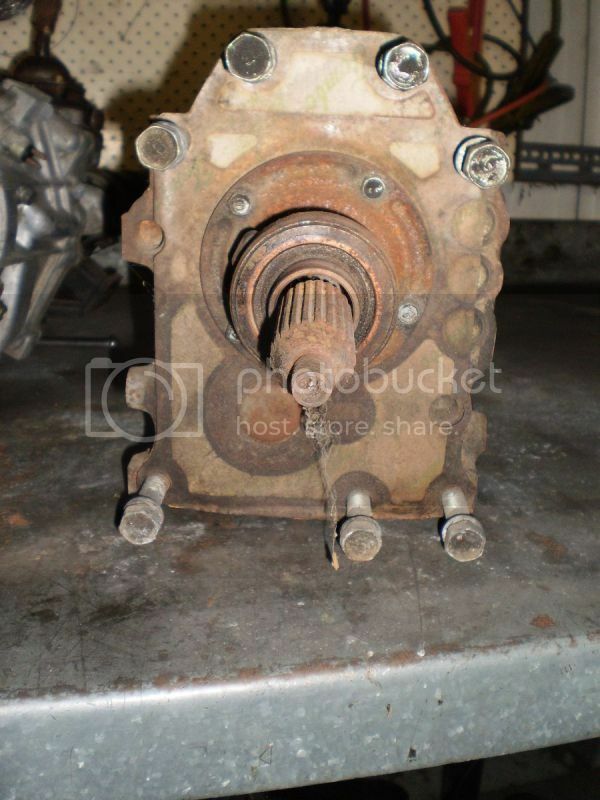 A good secondhand Toyota 2T/3T box can be picked up for around $250-300. 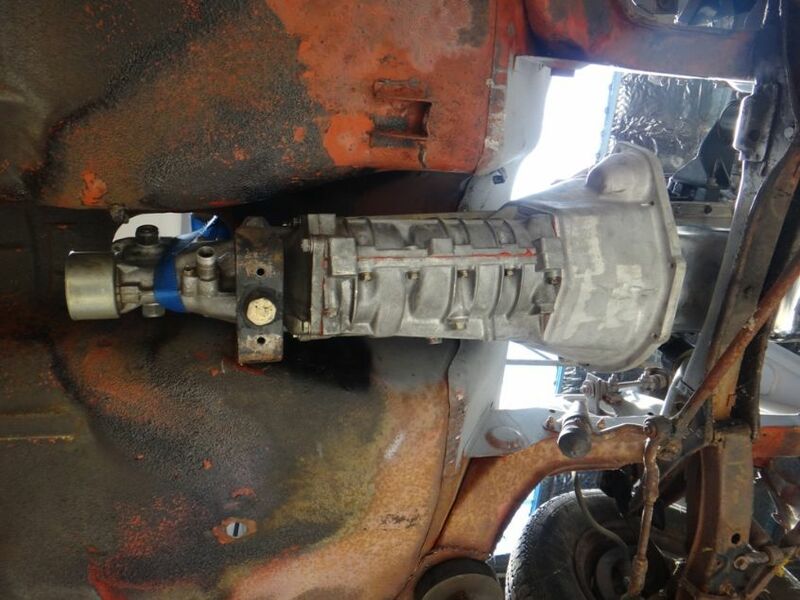 And a modified tailshaft shouldn't cost more than $150. 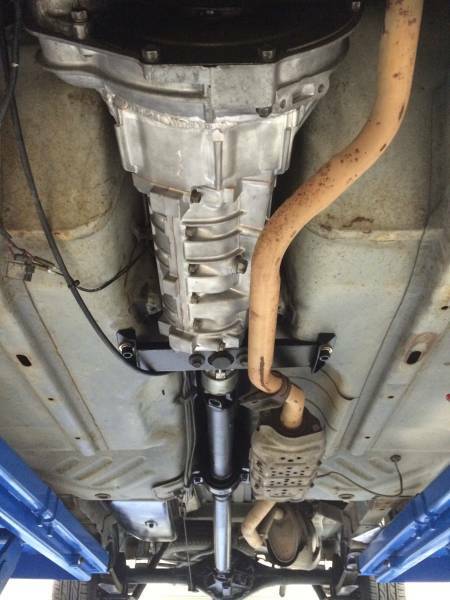 Or, $1750 includes a Dellow kit with a reconditioned gearbox. The kit will be about $800 but you would pay that for a used B310 5spd in Australia, and the Toyo box is a better, stronger box. Toyota box is basically unbreakable behind any A-series, better standard ratios (and more available through TRD if required), and has better shift action!! 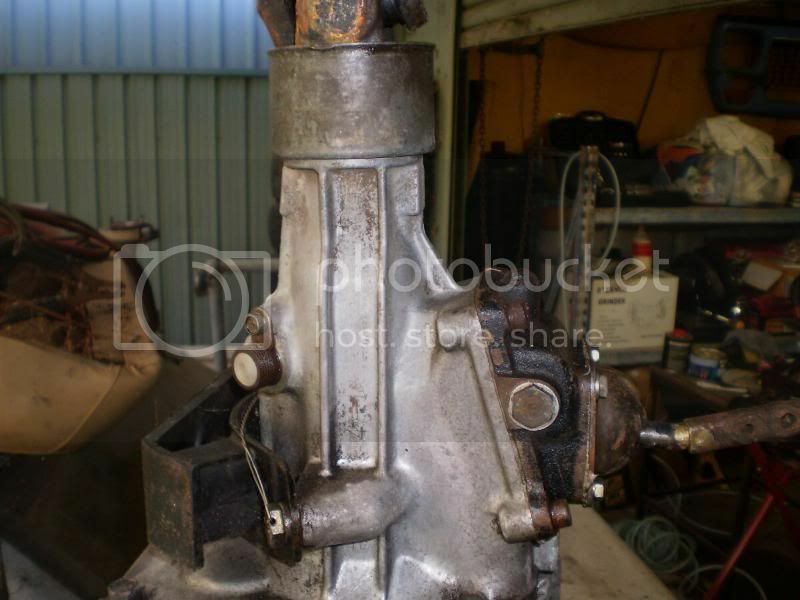 In Australia, the strong Datsun 63-series 5-speed can be obtained for $900 or so. Dellow sells the yoke to fit the T-50 22/23 spline for $100, good luck finding one of these at the wreckers. 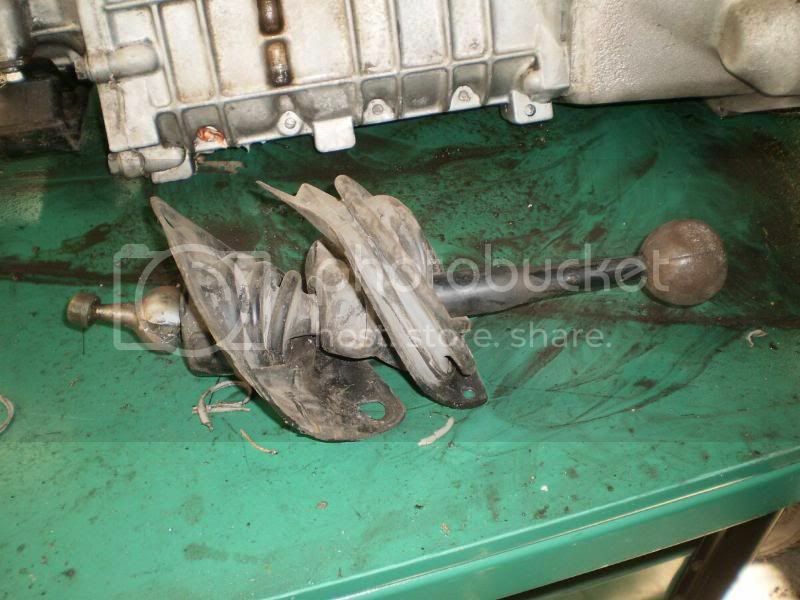 The tailshaft from a mazda 929 wagon is also a close fit, check this out as well. With the dellow kit all you have to do is unbolt the front bellhousing and bolt on the new dellow adapter bellhousing change the clutch and spigot bush. 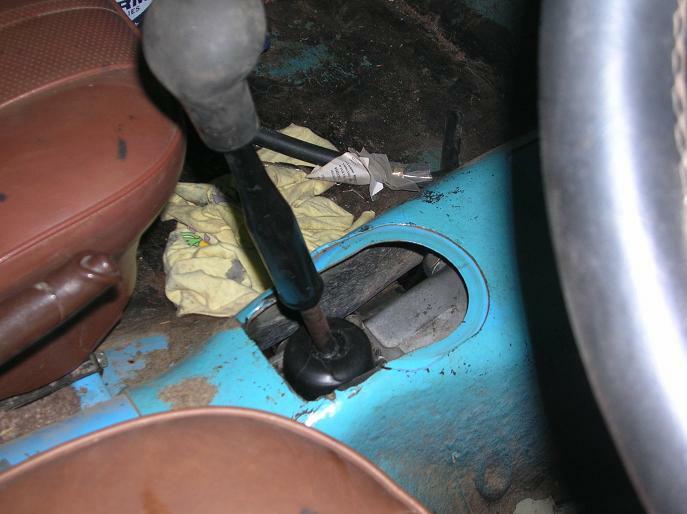 the gear shift is back a little further than the standard datsun box around 30-40mm from memory. You will need to make a new hole as its around 70mm further back. the speedo cable fits up no problems you will have to remove the standard datsun gearbox mounting plates (humps out of the tunnel with bolt holes)and manufacture a new crossmember I used some 50x6mm flat plate and drilled holes in the appropriate spots and made sandwich plates for inside so the bolts dont pull through. 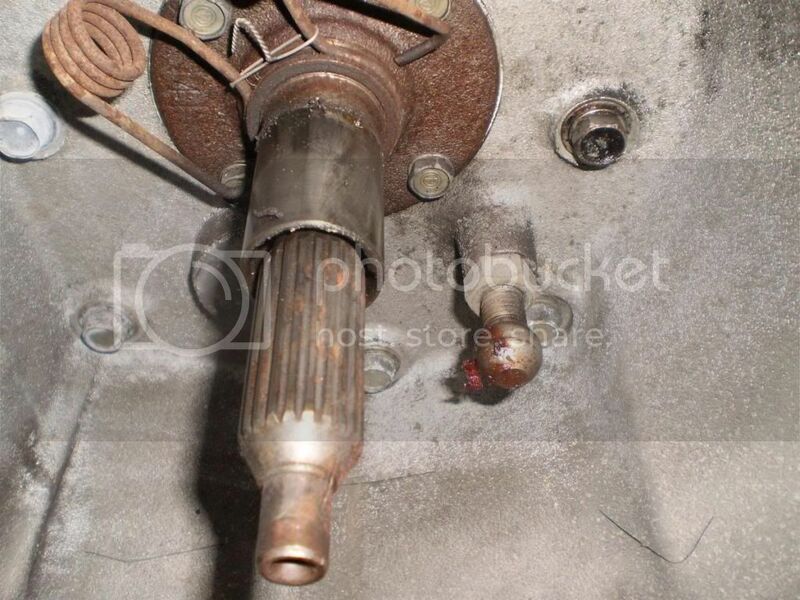 A new tailshaft will also have to be made other than this I cant think of anymore work. The kit comes with most the bits and instructions so for anyone with a bit of mechanical knowledge shouldnt have to many troubles. 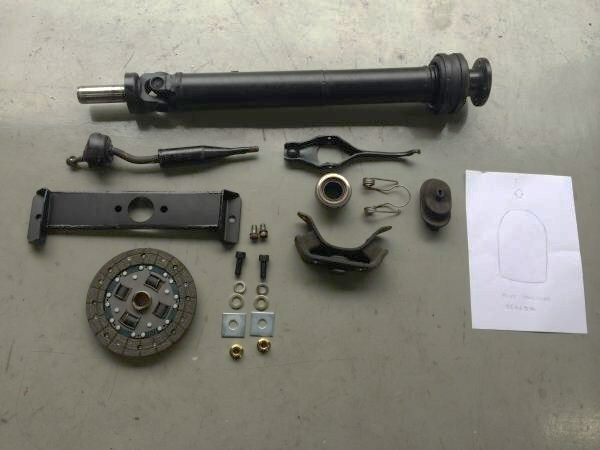 If you get the kit from Dellow, you don't need a hydraulic clutch. It works with the standard right-hand drive cable. 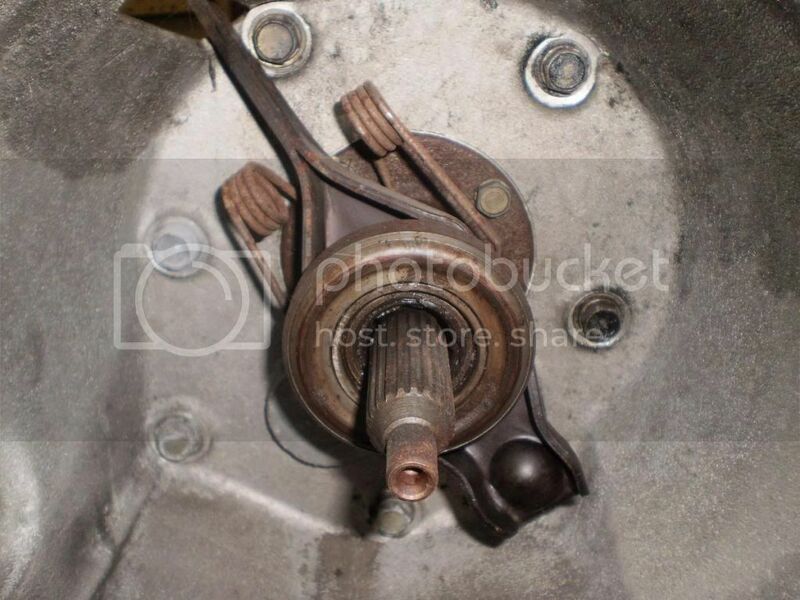 You may have to machine the sliding bit on the nose of gearbox to accept the Datsun release bearing, but possibly you could modify the level to accept the Toyota throwout bearing. There is a little bit of machining required to push bearing carrier and the bearing carrier slide. (this is because of the mix and match of Datsun and Toyota bits. 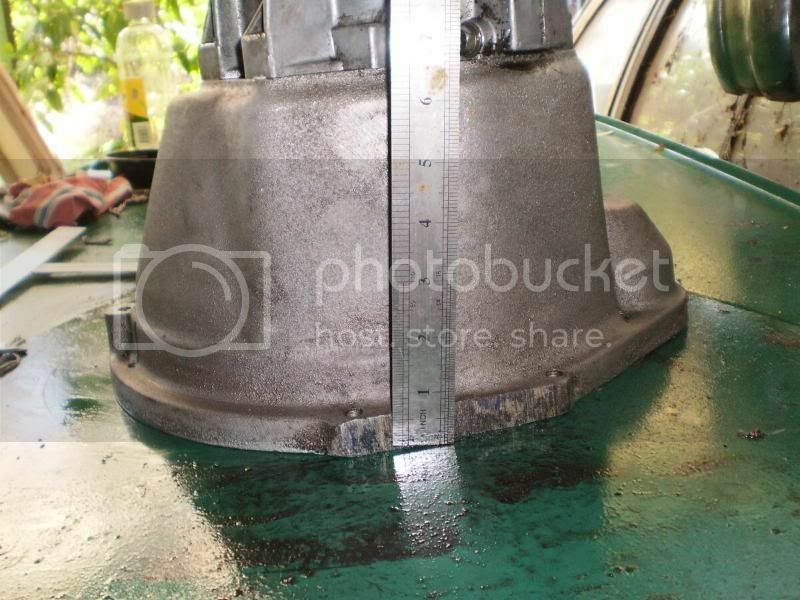 Roughly it costs $1050 to do the conversion including all machining. 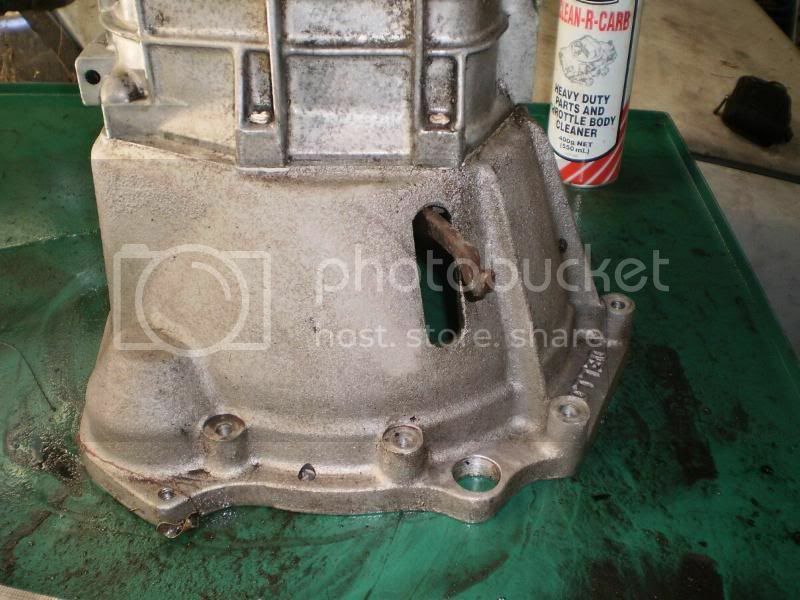 Give Jeff Dellow a call and tell him the Gearbox you have and then he'll tell you to sit down and then he will tell you about the price of the new bellhousing and all the rest of it.. 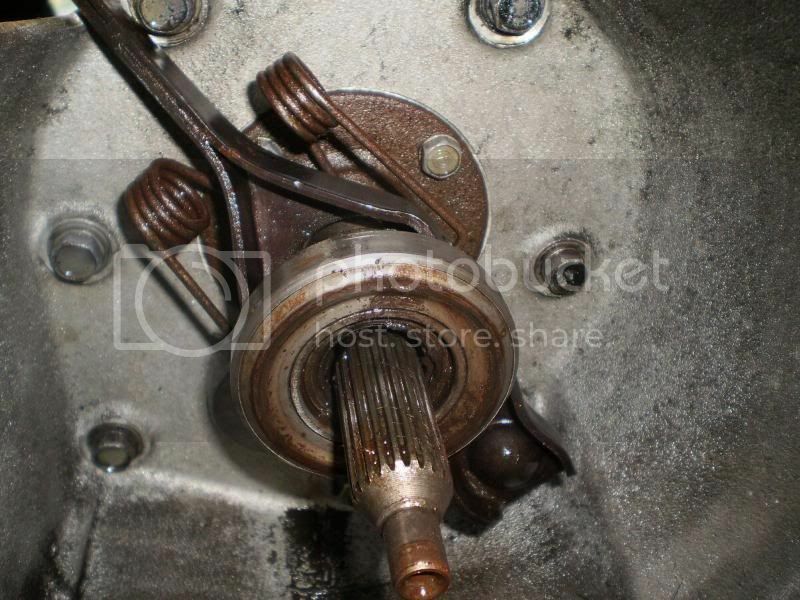 The thrust-bearing carrier on your Datsun needs to be bored out (we can do this for $45) & a new thrust race fitted. We can supply new thrust races for $45. 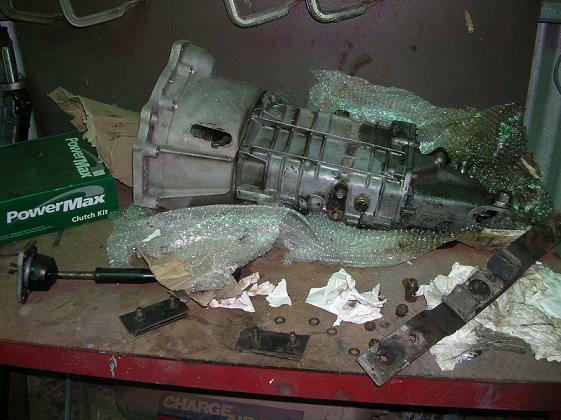 NOTE: It is important to specify what gearbox you have before ordering. The 2T has a front bearing which measures 62mm and has 20-splines on the tail-shaft where as the 3T has a 68mm front bearing with 22-splines on the tail-shaft. Our kits come standard with a 180mm clutch plate but can be ordered with a 190mm. 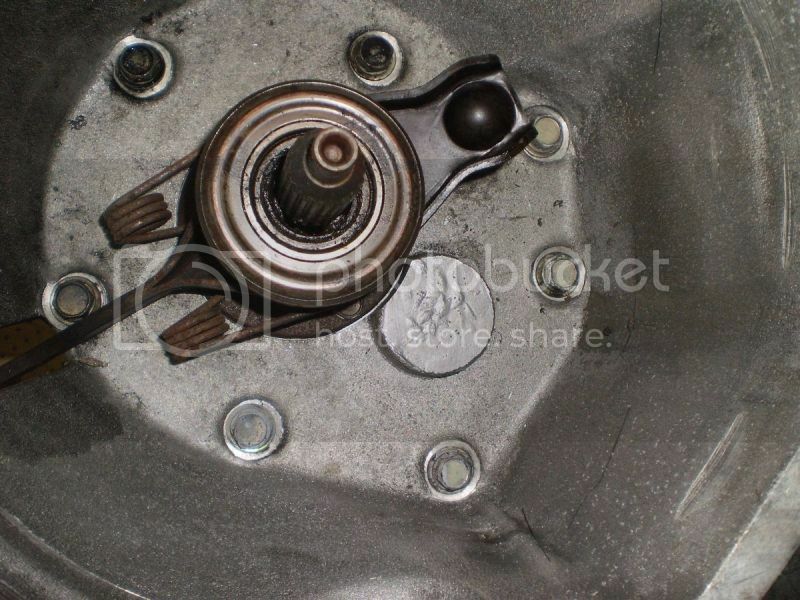 Note that the clamping force is not provided by the disk, so with a disc of your choice select a high-force Datsun-Nissan clutch pressure plate for good clamping force. Most aftermarket A14 clutch plates (covers) are higher force than stock. Only turbo/supercharged A-series engines or drag-racing applications need a special clutch. 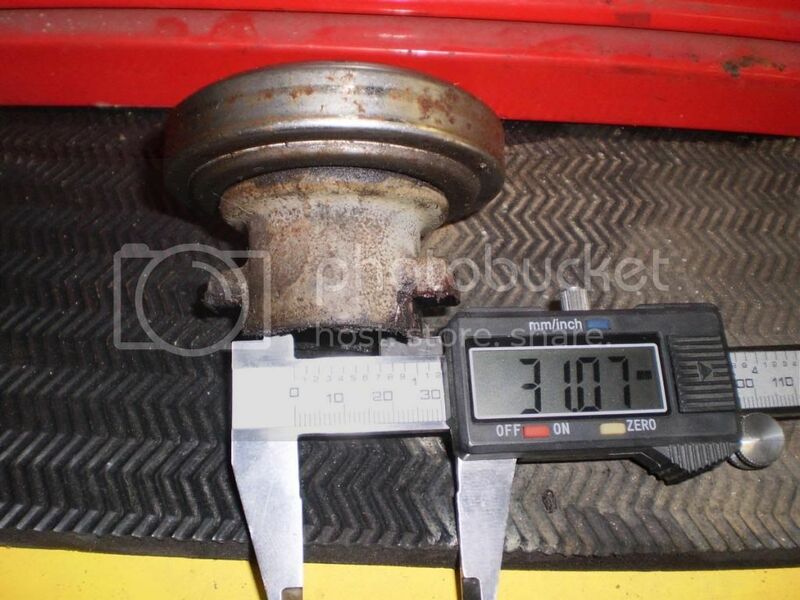 It appears that a stock Toyota disc #31250-10060 or 31250-10032 may work: 180mm OD facing with 125mm ID facing (same as A-series) but with 21-spline 24.1mm hub (for T50 gearbox). Source: Toyota Starlet EP70L, EP71L, EP81 (e.g. 1990 with 2E engine 1.3 liter 12-valve) and others. $121 at RockAuto.com. Or Exedy TYD023U. For use with Datsun A-series clutch plate, the disc thickness should be 7.6 to 8.0 mm uncompressed (it is unknown what thickness the Toyota discs are). BigV used a Toyota Sprinter clutch plate (190 mm?) and pressure plate. 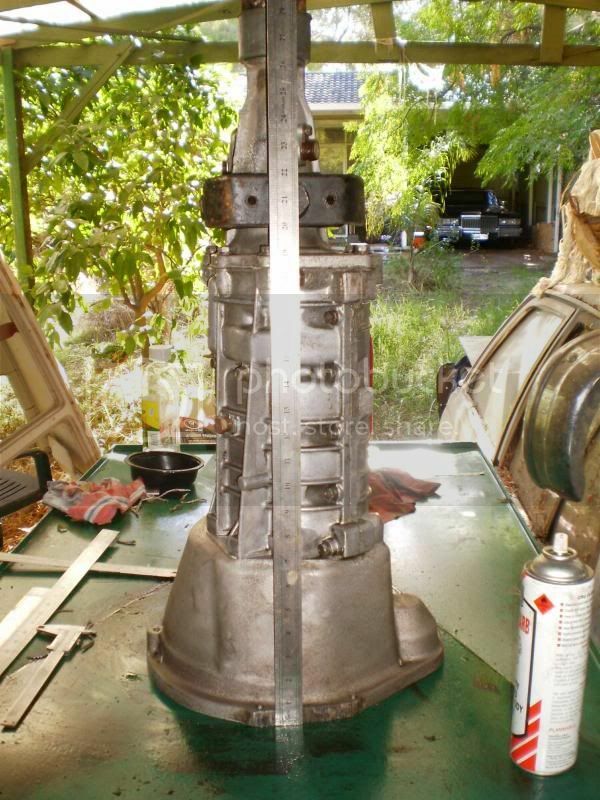 He had the local machine shop redrill the flywheel and shortened the bolts as they came out behind the ring gear. He also got the machine shop to fit bigger dowl pins this made up for the shorter bolts. Result: a very big clutch read same outside diameter as flywheel. 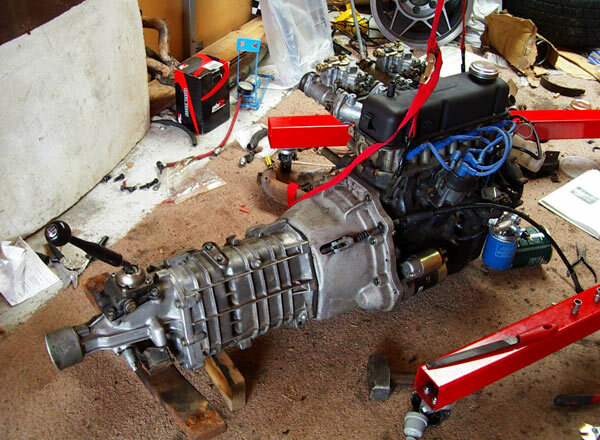 dattoman1000 uses the 200mm R321 toyota clutch kit with a Datsun bearing. The crossmember is the easy part to the T50 conversion. Use some 50 x 6 steel for mounting the box on with some sandwich plates to hold it to the floor. Very solid. 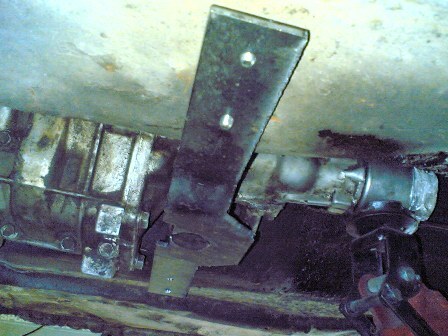 Vixen used a Datsun 60-series bellhousing cut with a plate to mount the T-50 box. 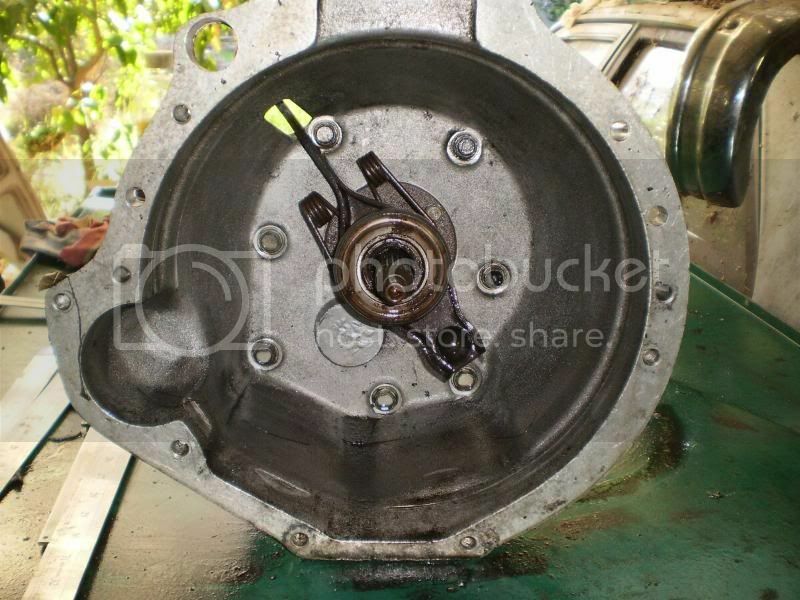 Use the stock Toyota guide and carrier but press on a Datsun bearing. Then spend some time opening up the throw-out arm to work with the Toyota carrier. This method only requires a grinder. 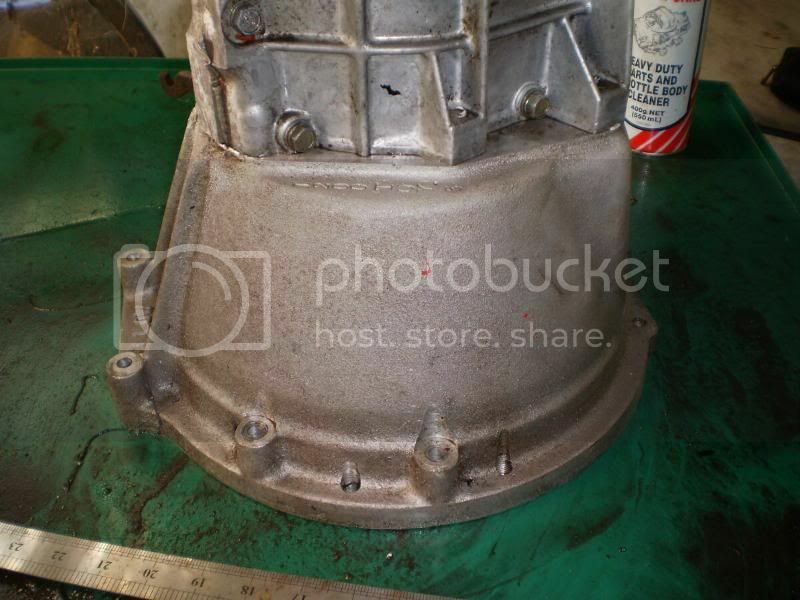 T50 bellhousing can be cut-n-shut with Datsun front case bellhousing. Cut-n-shut a Datsun front case onto a T50 front case. Sealing the front of the box seeing as the original Toyota bellhousng has the seals built in: The Toyo bellhousing was also machined & the relevant parts liberated & sandwiched between the 56-Series Transmission bellhousing/adapter & the box itself. A bit of work with an angle grinder on the top of the box may help. Cut a bit (not much) off the top of the box, don't go too far! 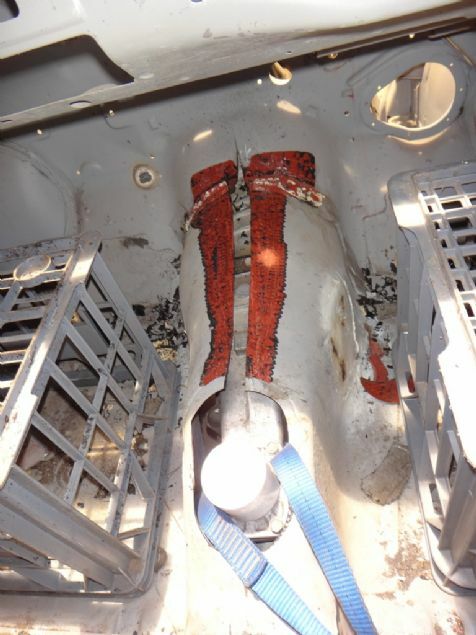 Other have cut the tunnel right down the middle from the firewall to the shifter hole and opened it upwards. The 1000 transmission tunnel is a bit smaller than a 1200 tunnel, even the 60a is a tight fit requiring with an angle grinder, the 63a and Celica box will need the transmission tunnel opened up some. 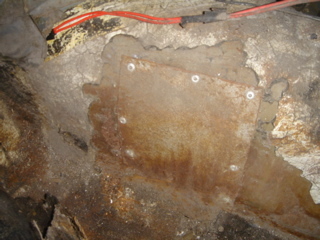 In your 1000 ute, with A14 and modified engine mounts, no modifying of the tunnel was necessary, and you can see the two holes in each floorpan where the custom Xmember bolted with sandwich plates. 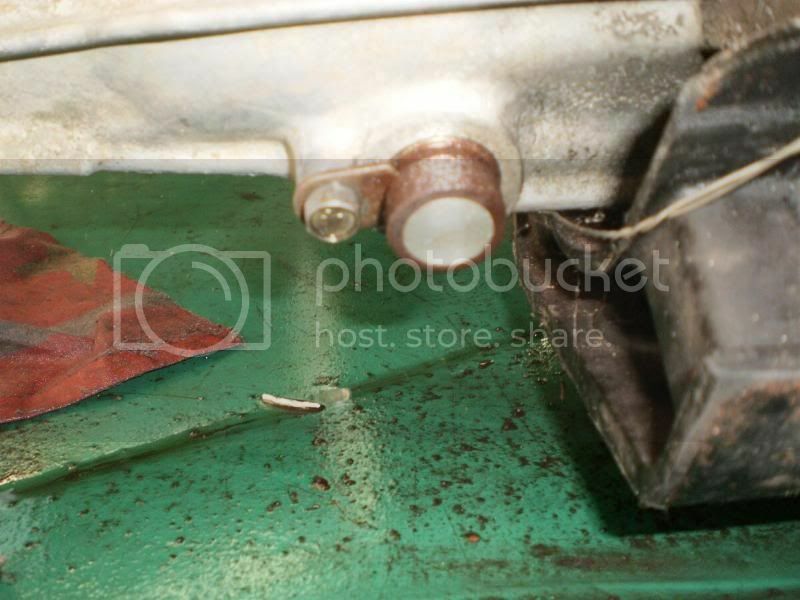 You may have noticed that Shaun welded new humps in the tunnel to bolt in the 4-speed, these will need removing again. It surprised me because with the same gearbox the tunnel in my 1200 required some major cutting, and the rear of the box sits about 2-2.5 inches higher. This page has been accessed 24,060 times. This page was last modified 00:42, 2 May 2018. Content is available under Datsun 1200 Club.